What must it feel like? The same exact situation, the same exact challenge but one result a career-high and the other a disappointing low. Aditya Patel seems like just the right person to answer this, because of the stark contrast between his 2017 and 2018 racing seasons. Going into the final round of the Blancpain GT Series Asia in 2017, Patel and OD Racing team-mate Mitch Gilbert were in contention for the championship title, ultimately losing out by one single point. This year, when I spoke to Patel with one race left in the season, the situation couldn't have been more different. As it so happens, I find myself speaking to Aditya at a time when he is in the midst of one such disappointing low, with one race left in the series. Like I've already mentioned, the 2018 season of the Blancpain GT Series Asia has been trying to say the least. Even so, there is very little frivolity in my discussions with Patel. His answers are well thought out, crisp and concise. And there is an underlying tinge of optimism and dedication that I can feel issuing forth from his every word. As I'm typing this out, I find myself wondering if there will be anything different in how he would have reacted to my questions had I been asking them after the Ningbo round, where he finished sixth, ending 18th overall in the championship and 10th in the Silver Cup. Probably not. But let's back the truck up a little, and look back at the fortunes of OD Racing from the start of the 2018 season. 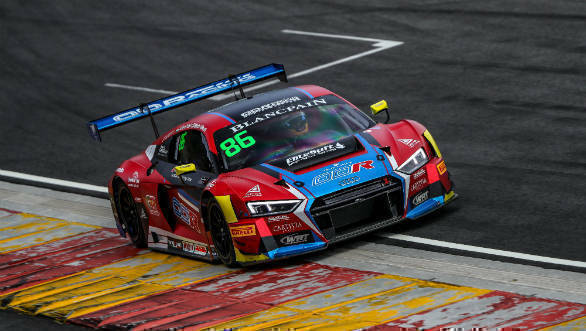 The team had the WRT Racing squad running their Audi R8 LMS Ultra for them over the course of the season. And, even though Patel himself was excited about having the European motorsport team's wealth of experience at their disposal, things didn't go quite according to plan. 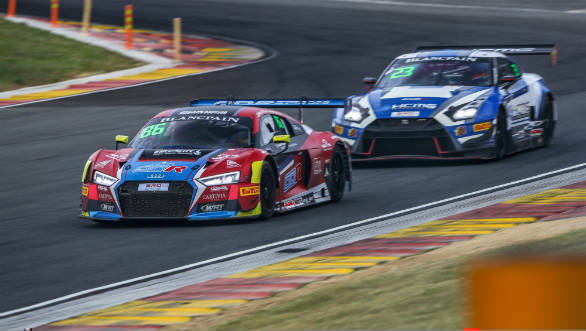 Patel has a straightforward and pragmatic response to the reasons for their early misfortunes - he says they were a bit late in realising that the European set up that WRT Racing was running on their R8 was not suited to Asian conditions. Then there was the fact that they also hadn't had enough testing and were finding it difficult to get used to the new Pirelli tyre compounds with the current setup. But Aditya is also quick to admit that the two retirements that the team faced during the season were very unfortunate and things could have been quite different if they had managed to come out unscathed on both occasions. But, and this is another quality I have come to admire in race drivers, the positivity he possessed with merely one race left in the championship was commendable. Patel emphasised the progress the team had made up until that point, saying, "We are getting closer to the top contenders, even with the new Pirelli tyres which are tricky to work around, with their abrupt wear characteristics in qualifying." Perhaps there's another reason Patel is so content with the way things are going for him. 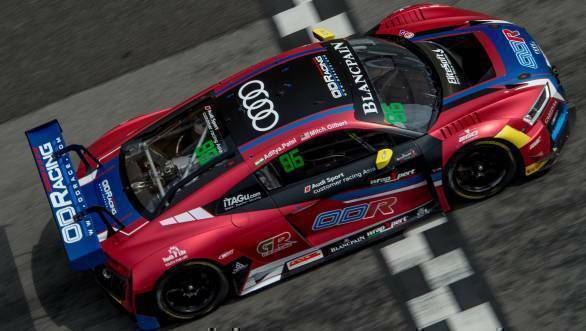 He enjoys the competition in the Blancpain Asia series with its mix of WEC, F1 and DTM drivers. And even though, by his own admission, it hasn't been a sinecure, he's seeing positives. "It's definitely not easy going. Many factory drivers from Lamborghini, Porsche and Audi compete here. But unlike the other manufacturers who pick drivers from a single pool, Audi has a separate contingent of drivers for Asia." And, with his performances over the last few years being quite strong, Patel now finds himself deep in this Asian pool. 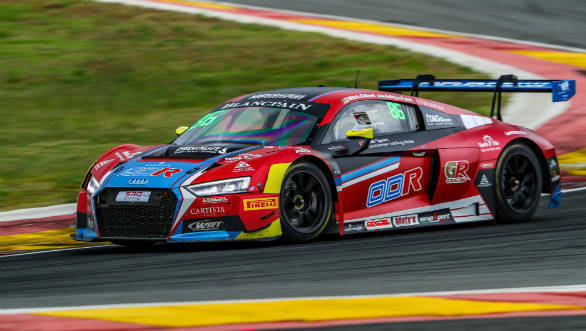 He is one of the leading drivers for the company from Asia now and plays a big part in developing the competition spec Audi R8 LMS. Audi's deep focus in motorsport also appeals to him. This position also bodes well for Patel when you see where he hopes his career will head. He eventually wants to compete in the Australian V8 Supercars championship and then go on to the WEC. Justifying his preference towards sportscar racing, he says, "This offshoot of motorsport is still growing. Drivers are more valued and better paid than before. Teams and sponsors want to put in more money too". Well, he certainly has come a long way in his 12 odd years in competitive motorsport. But motorsport isn't just a one-way street for Patel. When he isn't racing, he is hard at work at his Chennai office setting in motion the X1 Racing league along with Armaan Ebrahim. And the minute I bring this racing league up, he's instantly eager to talk about this venture. "Races in the X1 league will be the perfect foil to the long, strategy-heavy F1 races, where overtaking during actual racing is now rare," he says. He wants the X1 races to be only half an hour long, have one pit stop and two drivers per car. 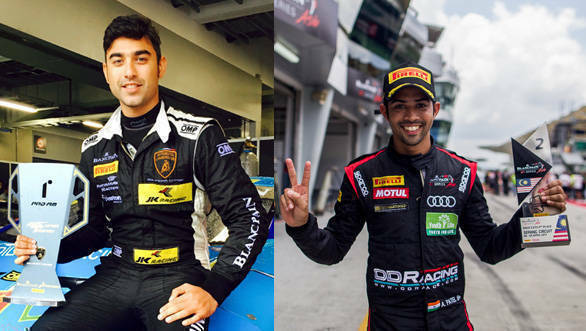 The two drivers will be of different skill levels, one will be from the international motorsport scene with F2, F3 or even F1 levels of experience, while the other driver will be from within the Indian motorsport community. Drivers who are good enough to compete internationally, but who haven't had the opportunity yet. Patel says he wants to extend this crispness that the series aims for, to the venues and the scheduling too. There will be only be four to five race weekends and street circuits in three cities. Delhi, Mumbai, Pune, Hyderabad and Chandigarh are currently in the fray, but only three cities will be selected eventually. The series will also aim to develop engineering talent in the country, with two students per team assisting in data engineering and trainee roles. 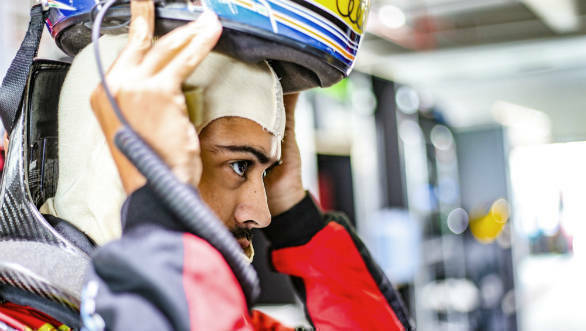 And even though there's a season of racing that he wants to put behind him right now, I find myself thinking that Aditya Patel finds himself in a rather exciting position at the moment. His run in the Blancpain GT Series Asia might lead him to bigger goals, like the aforementioned Australian V8 Supercars and WEC. 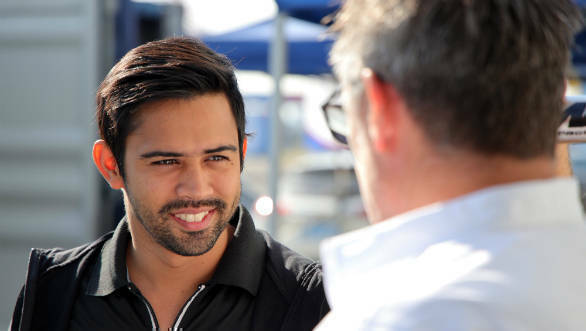 But more than that, Patel is determined to give back to the motorsport system that nurtured him to begin with. And, his own success apart, he wants to see Indian motorsport growing further. The tough, it would appear, have gotten going.